The Avg. Group Saves 17.7%! The Boston Harbor Hotel is ideally situated on Boston's historic harbor front, located just steps from the Financial District and within walking distance to many of the city's attractions: Faneuil Hall, Quincy Market, New England Aquarium, the historic Freedom Trail. The Boston Harbor Hotel is only 1.5 miles from Logan International Airport, which is accessible all year round via a 7-minute water taxi, departing from the hotel’s marina. Major highways, T-lines and railway stations are equally accessible. versized parking fee has been added – Valet rates: $55 / Self-Parking Rates: $49 / Oversized Vehicles*: $100*Oversized vehicles with a height greater than 6' 6" will be taken to an offsite garage at Post Office Square. We appreciate your understanding and cooperation as 45 minutes lead time is needed to retrieve these vehicles. All guest rooms and meeting space have complimentary wireless internet. 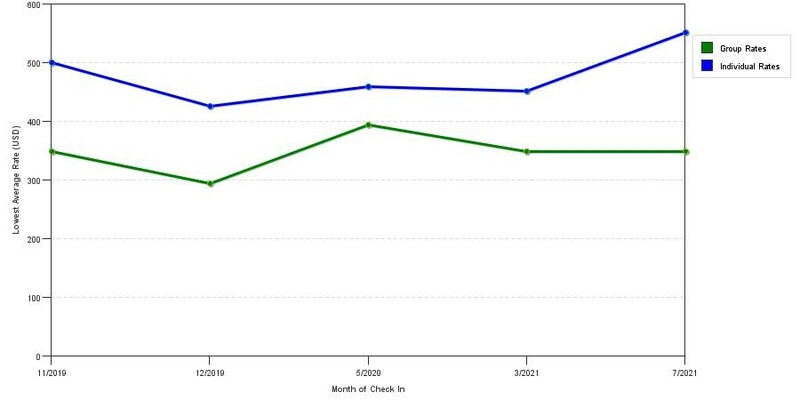 The graph above is seasonality of room rates for both group/meeting rates and the lowest online individual rates we could find at the time the group bid was placed. The most competitive group rate shown is 49.5% in May 2017 and the highest average individual rate is $757 in the month of May 2017. This chart will show past seasonality and also project future months. If you are flexible with dates, you may want to consider staying at Boston Harbor Hotel in a month when rates are lower. 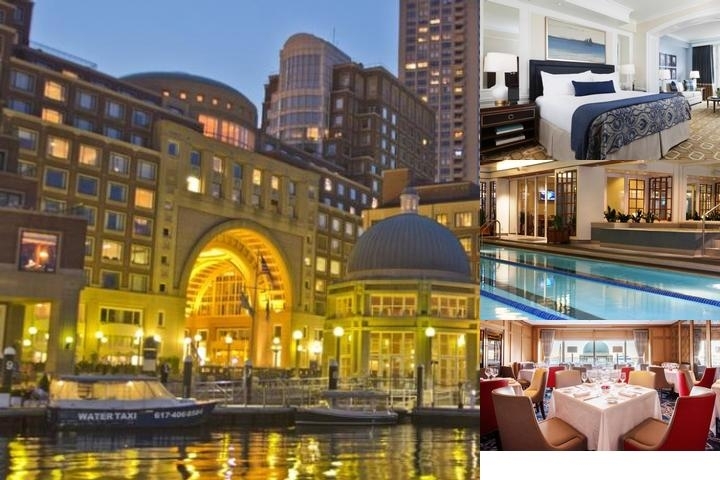 Below are the meeting, banquet, conference and event spaces at Boston Harbor Hotel. Feel free to use the Boston Harbor Hotel meeting space capacities chart below to help in your event planning. Hotel Planner specializes in Boston event planning for sleeping rooms and meeting space for corporate events, weddings, parties, conventions, negotiated rates and trade shows. 87 x 72 x 17 Ft.
92 x 48 x 17 Ft.
0 x 0 x 19 Ft.
27 x 18 x 10 Ft.
40 x 28 x 10 Ft.